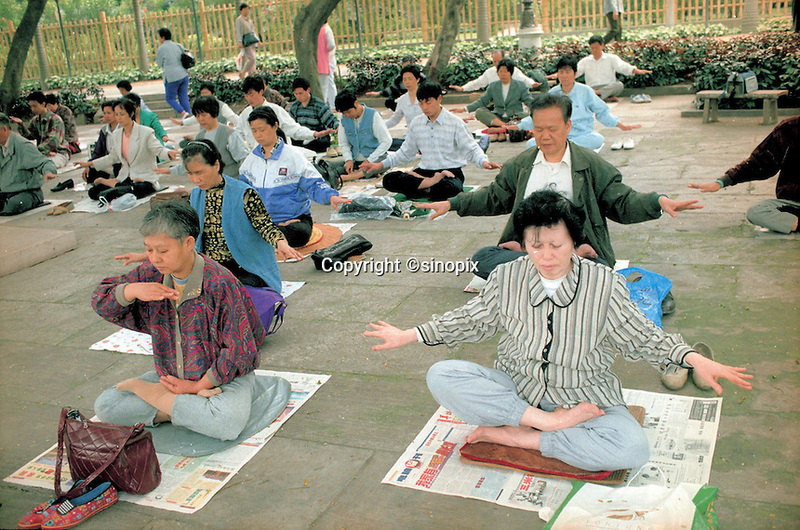 Members of the Fa Lun Gong cult meditate, in Guangzhou, in the typical cult-like fashion as taught by their U.S. based leader, Li Hongzhi. Followers of the cult, that according to official government figures number over 70 million, held the biggest demonstration in China, since Tiananmen in 1989, last Sunday. The Communist Government was caught unawares and has since adopted "all means of punishment" to prevent further unrest since the demonstration.